Ruairí is a gifted storyteller and a sought-after and uplifting public speaker covering topics as diverse as leadership, social innovation, civic engagement, mental health, and mindfulness. In 2011 he was one of the organisers of the Dalai Lama's visit to Dublin, for a 2000 person summit which he MC'd. Ruairí has spoken twice at the MacGill Summer School and has addressed small and large audiences in Ireland and internationally that have included government ministers, journalists, health professionals, entrepreneurs, and students. His 2015 TEDx talk and other online videos have reached tens of thousands of people. Ruairí enjoys helping individuals and groups find their voice, develop new skills and cultivate courage and confidence to make an impact in their communications. This includes offering welcoming workshops and one to one coaching and mentoring that can help people thrive when it comes to public speaking in diverse settings. 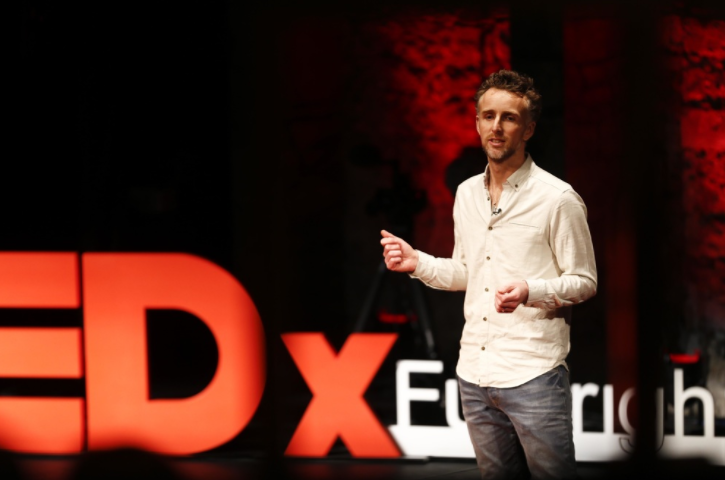 Ruairí is one of Ireland's leading social innovators and campaigners. A Fulbright scholar and a recipient of numerous awards, in 2012, he was appointed to Ireland's Council of State (a presidential advisory group) by the President of Ireland. Ruairí is a business graduate and has experience working with multinational firms and with the Irish health service. For the past 15 years he has been focused on social entrepreneurship. He is the founder of the pioneering SpunOut national youth organisation, a co-founder of the 180,000 strong Uplift campaigning organisation, and he is a co-founder of the Gaelic Voices For Change social movement of GAA players. He was also involved in the founding teams behind A Lust For Life and the Soar Foundation. Ruairí is a regular contributor to TV, radio and newspapers and has contributed to several books including Sr. Stan's book 'Seasons of Hope'. His chart-topping Love and Courage podcast features inspirational global voices for social healing, including Marianne Williamson and Amanda Palmer.